We are coming up on a 3 day weekend – Labor Day weekend to be exact! AND, in my family, we have several birthdays to celebrate! So, we will be having some family gatherings – and with family gatherings there is great food and drink. I’ve been thinking about what I can contribute to the festivities, and I thought how much I’d love to include something seasonal! Summer is coming to an end, but that doesn’t mean that fresh fruits and veggies can’t still be on the menu! Maryland’s Department of Agriculture has a webpage with a great chart that details which months each fruit and vegetable are in season! I always thought that watermelon was strictly a summer fruit but, to my surprise, watermelon is in season from July to October! I love it! 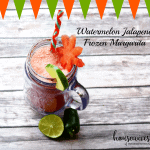 So, I happened upon a recipe for a cocktail on a cool site called Spicy Southern Kitchen – Jalapeno Watermelon Margarita. 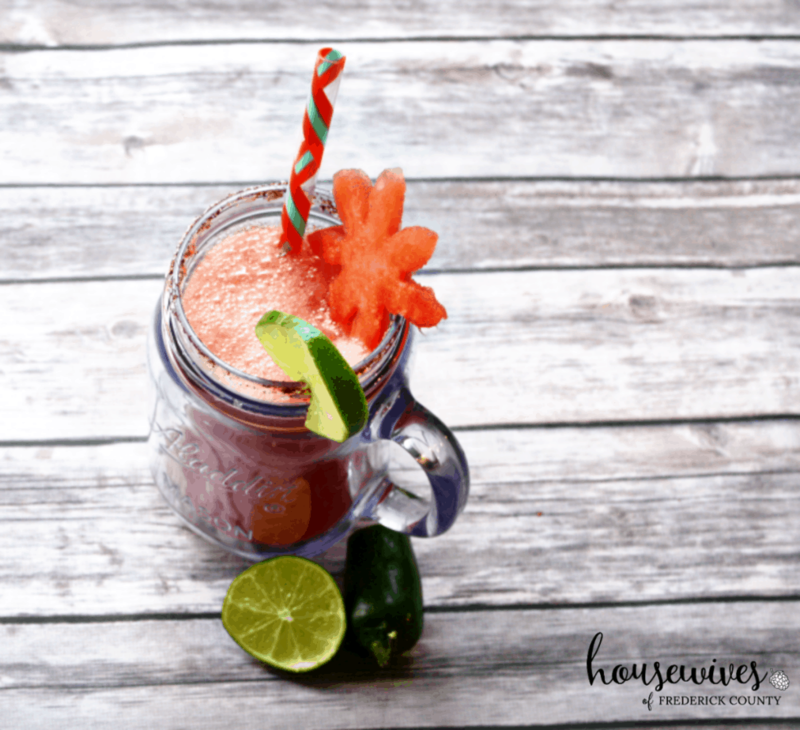 You heard that right – Jalapeno Watermelon Margarita! 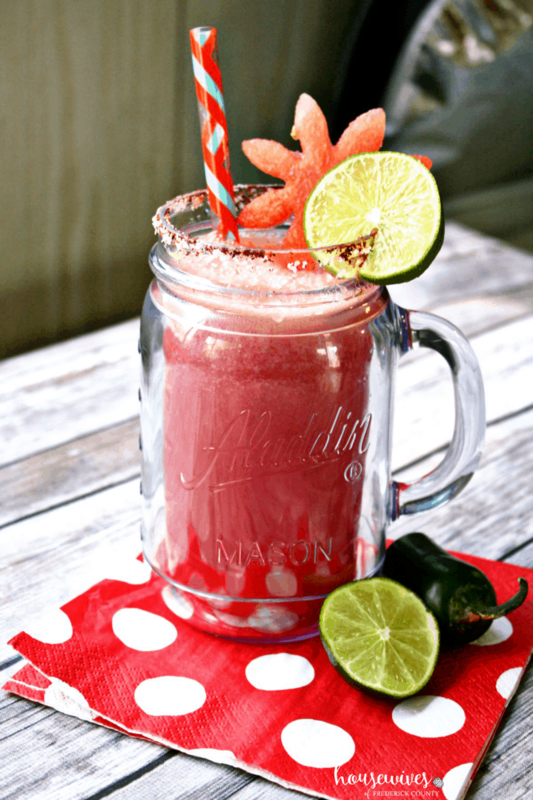 BUT, I “made it my own” (as they say on American Idol) and created it as a frozen margarita – hence the new name – Watermelon Jalapeno Margarita! I know – I’m SO clever! Cocktails with fresh herbs (think Mojito) and other funky things in them are so en vogue! So, I just HAD to try this! Place tequila and about 4 slices of jalapeno in a glass measuring cup and place in the refrigerator for 1 to 4 hours depending on how spicy your jalapenos are and how spicy you want the tequila to be. Take a taste after 1 hour and decide whether it is spicy enough. If so, remove jalapenos. Place watermelon (you may need to do it in batches) in a blender and blend until liquefied. Pour watermelon through a fine-meshed strainer, pressing on it with the back of a spoon to get all the liquid through. Measure out 3 cups of watermelon juice. 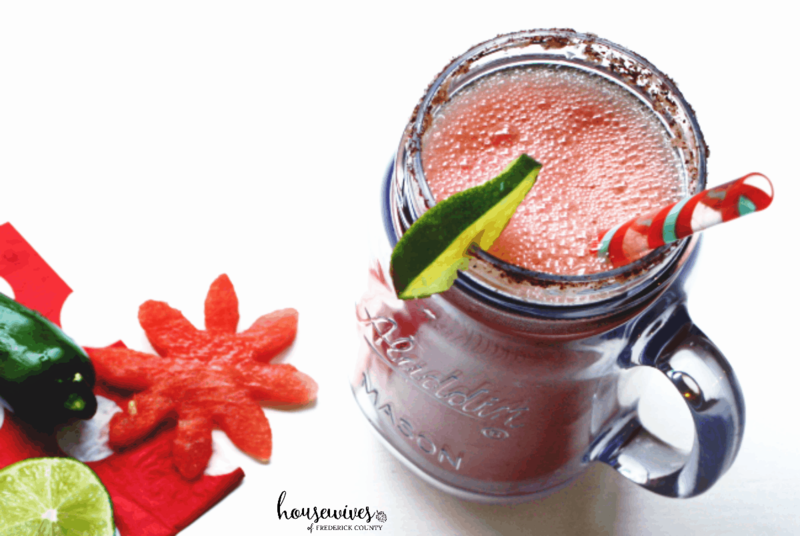 In the empty blender, combine the 3 cups watermelon juice, tequila, lime juice, Triple Sec, and simple syrup. Add ice to achieve desired texture of your frozen drink. Blend well. Place salt with a little chili powder mixed in on a plate. Coat rims of 4 glasses with lime juice and dip in salt mixture. Pour blended cocktail into glasses. Garnish with lime slices and jalapeno slices if desired. **To make the simple syrup** Combine equal parts sugar in water in a small saucepan and heat over medium heat, stirring frequently until sugar is dissolved. Remove from heat and cool. Can be stored in refrigerator for future use. My verdict? Definitely a refreshing change from the run-of-the-mill cocktail! Wow! There is no need to guess the ingredients in this drink – each one of the ingredients jumps out at you with every sip! Would I try anything different when I make this cocktail again? I think I’d like to try vodka instead of Tequila – although it wouldn’t really be a margarita, traditionally. Either way – I absolutely LOVE trying new things! So this did not disappoint. What seasonal fruits and veggies do you like to take advantage of this time of year? Whatever you do, though, please drink responsibly, and have a fun, long weekend!